Myth: No one is going to offer me a good job at my age. Reality: It’s easier than ever for people age 50 and older to find meaningful work that pays well. Why? The combination of an aging US population—the 50-plus group now represents more than one-third of the total US workforce—and a relatively strong economy means that there are not enough qualified young job applicants to replace retiring baby boomers in many sectors and regions, leaving employers with little choice but to hire older applicants. Plus, fewer and fewer US jobs involve manual labor, while even more are in the information sector where jobs require using a computer and the Internet. Younger workers might have an advantage when it comes to manual labor, but older workers are more desirable in the information sector—they’ve spent decades acquiring useful knowledge. Exception: Older job seekers in blue-collar fields could find it very difficult to land good jobs these days. Their best option often is to seek retraining. Myth: Employers are going to assume that I’m out of touch with current technology and trends. Reality: This stereotype finally is beginning to fade. 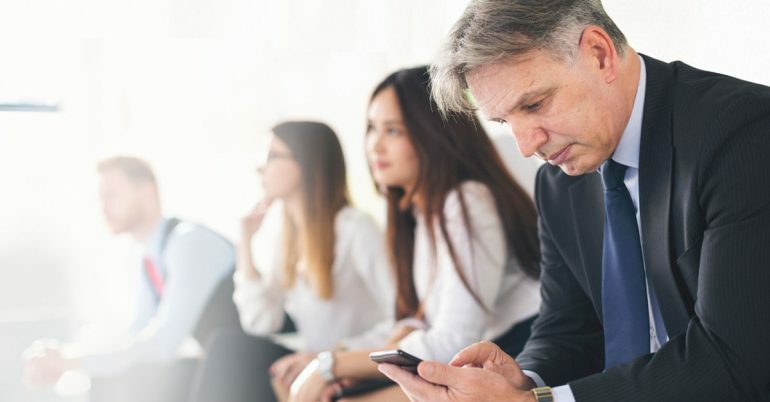 The US economy has been extremely fast-moving and technology-focused for several decades now, so many 50-plus employees have extensive experience coping with rapid change and advanced technology—and a growing number of employers realize this. Still, it’s prudent for older job hunters to take extra steps to prove that they have kept up to date. Read up on the latest trends and technology in your sector so that you can discuss them intelligently during your interviews—depending on your field, that might mean reading trade publications, scientific journals and/or taking a course or seminar on a cutting-edge topic related to your field. Example: A man in his 60s took a computer-coding class before applying for jobs. He was not applying for jobs as a coder—one class was not nearly enough to make him hirable in that field—but having the class on his ­résumé sent a strong message that he wasn’t out of touch with technology and wasn’t afraid to learn new things. Warning: The terminology on your résumé and/or cover letter could make you look out of touch even if your skills are up to date. Visit job boards to see whether the job titles and buzzwords used in your field have changed, and then update the language on your résumé and cover letters if necessary. For example, if you served as the head of the “personnel department” at a former employer, you might update this to head of “human resources” or even to head of “talent management,” a new and trendy term for this department. These changes are unlikely to be viewed as dishonest as long as you do not inflate your job title when you update terms. Myth: I shouldn’t include a photo on my LinkedIn page because it will reveal that I’m not young. Reality: People who do not include photos of themselves on their pages at LinkedIn—the world’s largest professional networking platform—are severely hurting their chances to even get in the door for job interviews. ­According to LinkedIn’s data, profiles with ­photos receive 14 times more views than profiles that lack them. Being able to see a photo of an applicant gives employers and human resource professionals a chance to feel a connection with the applicant and fosters a sense of trust. Ageism does exist, however, so hire a professional photographer who specializes in portraits to take your LinkedIn picture—expect to pay at least $100. Skilled use of lighting and discreet photo editing will help you look your best, no matter what your age. Dress professionally and smile warmly in the photo—an approachable, upbeat ­facial expression in a LinkedIn photo is among the very best ways to make employers want to work with you. Myth: The only way to get a job at my age is part-time or freelance work. Reality: Older job applicants usually can find well-paying full-time positions these days if that’s what they want. In fact, more than 60% of workers age 65 and older now work full time, up from less than 45% in 1995. But older job hunters should not necessarily ignore freelance, part-time and temporary opportunities—these can be great ways to get a foot in the door. Example: A woman in her late 50s knew that a small marketing firm was reluctant to hire her for budgetary reasons. So she offered to tackle a single project on a contract basis. That ­project eventually led to her being offered a full-time job. Myth: Employers would rather hire someone young and cheap than an experienced employee at a higher salary. Reality: What employers want most of all from a new hire is value. If the salary you intend to ask for is likely to be more than an employer hopes to pay, identify specific ways in which you could help the company generate more revenue than a lower-paid, less experienced applicant could…and/or ways in which you could help the company save more money than such an applicant. Do your homework about the employer and its sector so that you can provide specific bottom-line–focused ideas during the interview, along with examples of times when you delivered value in similar ways for your prior employers. Example: A 61-year-old man knew that he would be competing with younger, lower-paid job hunters when he applied for a marketing position at a university’s law school. During his interview, he provided examples of ways in which the law school could rebrand itself to stand out from other law schools and attract more students. He also showed how he had successfully helped prior employers rebrand themselves. The law school stretched its budget to hire him. Myth: I’m too old to start my own business. Reality: Age 50 and up is in many ways the best time to launch a business. In 2015, 26% of entrepreneurs who launched businesses were between ages 55 and 64, up from 14.3% in 1996. Why? Older entrepreneurs typically have more savings to help get their businesses off the ground…more time to devote to the business (their kids usually are grown and out of the house)…more success convincing potential clients to trust them…and more and better contacts—many of their peers have risen into decision-making roles at their companies and have the authority to send business to these 50+ entrepreneurs. Myth: No one will hire me after I’ve been retired for a few years. Reality: It’s much easier than it used to be—and much more common—for retirees to climb back into the working world. In fact, according to one recent report, around 40% of people who retire later return to work. There’s a reason employers have become more willing to consider applicants whose résumés include retirement work gaps—they don’t have much choice these days. There’s a shortage of experienced employees in many sectors right now because of the relatively robust economy and the ongoing retirement of the baby boomer generation. Besides, atypical work histories have become the norm. These days, even applicants who have not previously retired often have gaps where they worked for themselves…worked part-time for others…or took breaks to raise a family. It is true that if you have been out of the workforce for a while, employers are especially likely to have concerns that your skills and knowledge could be out of date. But as noted above, those concerns can be overcome by adding something to your résumé that shows that you have kept in touch with the sector. Take courses or attend seminars related to your field, or seek a temporary position or short-term consulting assignment in the field before applying for full-time jobs.